Visual communication begins with picture acquisition, which means cameras. We often get asked ‘Which camera is the one you would recommend for us?’ This is a very difficult question to answer, and is similar to ‘We want to drive across the state, which vehicle do we need to drive?’ It depends on your needs, budget and other factors. A Ford Pinto could work, but not if you need the performance of a Thunderbird – or you may need a truck or van because you have 400 pounds of gear to take with you, or you may be taking your grandmother and need to have stability in mind. So, with that in mind I would like to discuss some of the different camera technologies and describe some of the applications for different cameras. First, let’s describe what happens in a camera- light enters the lens, and is focused on a sensor. This sensor turns this light energy into electrical energy that is processed electronically to create an electrical signal that is then transmitted through various cabling and equipment to ultimately be displayed on a television monitor, video projector or recorded on an on-board recorder. Cameras are available in two broad formats- Standard Definition and High Definition. Standard definition cameras operate at our current television format of 720 Pixels wide by 480 horizontal lines of resolution, while high definition cameras operate at either 1280 pixels by 720 lines or 1920 pixels by 1080 lines. There are different frame rates and scanning methods. Our current Standard Definition format is based on 30 frames per second, but is actually made of two fields or 60 fields per second. Field 1 scans the odd lines while field 2 scans the even lines. These two fields are combined together to create 30 frames per second. You may see this specification listed as 30i. Interlaced (I) is preferred for fast motion as it captures more intervals of the motion. Progressive images are scanned one line after the other: line 1, 2, 3 and so on. Progressive scanning is used in computer technology, and is often times preferred because it can capture better vertical resolution. Progressive images are also preferred if computer-generated special effects are going to be used, or if the image is going to be assembled in a computer program. There are also different frame rates used in Progressive images: 24, 30, or 60 frames per second. 24 frames per second is the frame rate of motion picture film. Standard television is 30 frames per second which allows more frames to be captured of motion. 30 frame video appears to be more ‘real’ because there is no ‘stuttering’ of the motion. 60 frame rate progressive video is evolving, and is not yet practical with current video recording technology. Next time you go to the motion picture theater, watch the image carefully to study the motion of pans – people walking or things moving across the frame from one side to the other. You will notice that this motion is oftentimes not very fluid and sometimes jumps from place to place. This is because the frame rate of the film image is not high enough to exceed the persistence of vision of the human eye. This 24 frame rate is a hot feature that producers sometimes want, because it can create a ‘feel’ of interrupting reality or a more ‘film like’ quality. It can be an effective creative tool, but care must be taken to utilize this capability only when it is truly appropriate in your communication. The 4:3 aspect ratio is four units wide by three units high, and is the aspect ratio of our legacy NTSC television system. 16:9 is a widescreen format much like that of the motion picture world. It is important to note that 16:9 images are often ‘letterboxed’ to fit on a 4:3 screen. While this does show the entire 16:9 image, it is not a true 16:9 image because you have basically thrown away 20% of the vertical resolution of the image in the black bars at the top and bottom. A true 16:9 image displayed on a 4:3 monitor will create a full screen image without the letterbox effect, but the image will be distorted, causing a circle to look like an egg on its side. This is called an ‘anamorphic’ image. Choosing a camera that offers 16:9/4:3 switch ability is important if you intend to use this camera at a later time in a widescreen format, or if the images you are capturing need to have a long shelf life of several years. The new DTV system coming to the industry will most often be widescreen, so this is an important detail to consider in your purchasing decisions now. Let’s start with Standard Definition cameras and a set of cameras that everyone is quite familiar with- the mini DV level of consumer cameras. These cameras are usually based on a single CCD sensor in sizes such as 1/4” or 1/3”. This means that the CCD which turns the light into electrical pulses is only 1/4” or 1/3” diagonally. The ‘mini-DV’ in the name of these cameras refers to the recording mechanism used to digitally capture the image to a video tape. The electrical image created by the camera is encoded and compressed using MPEG2 to a 25 megabit signal that is then recorded as digital information on the mini-DV tape. The mini DV cameras we are discussing are usually called a ‘consumer’ camera, meaning they are designed for consumers interested in using these cameras to capture home movies of family events. Quite honestly these cameras are incredible for the images they can create, oftentimes creating images of higher quality than older generation broadcast cameras that cost tens of thousands of dollars just 10 – 20 years ago. Other feature sets that these cameras may include are a microphone input. This input will almost always be in the form of a mini plug, not a balanced XLR from professional audio. If you intend on using a professional microphone or an output from your audio system, you will need some form of an adapter to allow the professional audio signal to be used. The input on the mini plug will also not support phantom power to microphones. These cameras will have audio and video outputs through a multimode connector and cable set and most likely will have S-Video as well as NTSC video output. Firewire is usually present, allowing the camera to be used to capture video into and out of a computer based editing system. These consumer cameras may or may not include the ability to convert signals to and from Analog to Digital and back. This could be an important function in your editing system – to allow analog signals (say a VHS tape) to be converted to DV to allow them to be captured into the editing system. 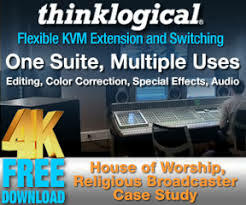 Just as important may be the ability to allow the digital DV signal to be converted to analog to allow you to see the editing system’s output on a traditional video monitor. This is a very important need if you want to assure your color correction is good in your program. When taping videos for presentation to a large venue projector, television broadcast or distribution to potential members, it may become important that you select camera technologies that will create images of higher quality than the consumer level of camera. The next step up is a ‘pro-sumer’ camcorder. ‘Pro-sumer’ stands for Professional Consumer, or someone who wants more features or quality than the consumer-based camcorder. These cameras often use three CCD’s in capturing the image. The light enters the lens and is focused on a prism which divides the light into three color channels – Red, Green and Blue. This light is then focused on three separate CCD’s, one for each color channel. This provides for more accurate and detailed color capturing, and will be a feature found in almost all cameras above the consumer level. These cameras will offer more features, such as balanced audio inputs and A/D-D/A features that we reviewed earlier. These cameras will perform better in lower light than their consumer cousins. You will find more manual control of the iris and focus on this level of product, allowing you to more precisely control the exposure and focus of the scene. Sometimes you will have capabilities to add a shutter to the camera to allow more defined capture of fast moving subjects. 24 frame capture may also be available, allowing a more ‘cinematic’ capture to be achieved as described earlier. These cameras will have a larger body and are often designed to be used from a shoulder mounted position. Broadcast cameras are designed around three chip sensors, usually in 1/2” or 2/3” sensor sizes. They can oftentimes work in either 4:3 or 16:9 aspect ratio. Professional cameras are available with built-in recorders and called ‘camcorders,’ or without built in recorders. The cameras without recorders are designed to be set up with camera control units, which allow all of the electronic functions of the cameras to be controlled from a central location. This is a critical feature if you want to create a multi-camera studio as this is the only way to precisely match the colors from different cameras. This allows the skin tones and other colors to match when cutting from camera 1 on a wide shot of the pastor to camera 2 that has a close-up. If these colors do not match, it is very disconcerting to the viewer and could impact the effective communication of the pastor’s message. Professional cameras are sometimes broken into a couple of categories- “ENG/EFP” style or “Studio” style. ENG stands for Electronic News Gathering, and usually the camera has a built-in recorder. EFP means Electronic Field Production, and also usually includes a built-in recorder. EFP cameras will usually have the CCU capabilities we spoke of, and sometimes include an onboard video recorder. Custom built or aftermarket recorders can sometimes be added to ENG/EFP cameras if they include a recorder or not. Some models require a Firewire connection on the camera while others may include the required A/D circuit inside the recorder. “Studio” style cameras are usually bigger, blockier camera bodies, and will always have a CCU attached to them. Studio cameras are used in studios and also in ‘OB’ or Outside Broadcast applications like sporting events. Studio cameras facilitate much larger and longer lenses more easily because of their larger physical size. As you can imagine, there is a lot of crossover in uses of the various types of cameras- but certain functions, specifically the recorder or CCU, are important to consider in your selections. High Definition cameras are available in various flavors, including the Consumer, Pro-sumer, Professional and Studio types. There is no single camera that can capture all the available HD formats and resolutions in one unit at its highest quality, so it is important to make a decision matched to the HD needs you have. Selection of the camera will involve some serious study of the format your application will ultimately use as its primary High Definition format of the future. High definition cameras may have the ability to record in a native HD format, but convert their output to a Standard definition format- known as ‘downconvert’. This is an important feature, as it allows the producer to capture HD content, but easily utilize it in today’s standard definition productions. At a later date, the high definition images can be called up and used in an HD project – this is known as maintaining their ‘intrinsic’ value. HDV is the newest member of our technological alphabet soup of formats and resolutions. In a simple form it is a recording format very similar to DV. The signal is compressed down to a DV sized image and recorded on a mini-DV tape. HDV operates in 720p and 1080i, depending on which manufacture and camera you purchase. These products fall in the ‘prosumer’ line of cameras, with a very small form factor and a good amount of professional features. Currently only a couple of manufacturers are delivering product in HDV now, but others are rapidly approaching delivering product to the marketplace. Sony and JVC have delivered a few models of cameras and decks, with several editing manufacturers offering systems that operate in native HDV codecs. With an HDV empowered editing system and camcorder it is possible to shoot, edit and master all within the HDV format for a very small investment as compared to current professional level products. The limitation of the HDV codec is important to consider, as some broadcasters currently will not accept HD programs that use the technology. Sony introduced the first practical high definition camcorder to the professional marketplace with the HDW-700 camcorder and HDW-500 studio recorder. HDCam is based on compress 1080 line HD recording at 170 megabits per second on a Betacam sized 1/2 inch cassette. It was welcomed by the professional marketplace as it allowed video production to be executed with similar practices as standard definition production. It was now possible to have a self contained battery operated system to shoot with. The first HDCam camcorders operated in interlaced mode only, until Sony introduced the HDW-F900 camcorder. This camera offered the first 24 frame progressive camera, which also operates in interlaced mode. The F900 camera is most notably used in the last two episodes of Star Wars, making the electronic leap from film originated features, quite commercially interesting to the Hollywood community. Panasonic’s DVCProHD used compressed HD recording at 100 megabits per second on a DV sized tape. The system operates at either 1080 or 720 lines, but is principally designed as a 720P system. Panasonic introduced the Varicam camera, which operates at variable frame rates as low as 3 fps to 60fps. The variable frame rate output of the camera is recorded at 60fps on the DVCProHD tape. A wide assortment of ‘hard’ cameras, meaning they have no recorders and are ‘hard’ wired to a system that would transmit or record their images are also available for studio and EFP configurations. Most major camera manufacturers have models to choose from. Small ‘box’ style cameras are available for Point of View (POV) or pan/tilt applications, as well as EFP cameras for handheld applications as well as studio cameras. Notably some of the box cameras are providing CCU capabilities and impressive image quality and cost effectiveness. I believe in the near future it will be possible to equip an IMAG or broadcast facility with HD equipment at near SD equipment costs. The one industry that the manufacturers are pointing these products to is the House of Worship marketplace. Another camera application to discuss is remote pan/tilt or robotic cameras. These cameras fall into two basic types: self-contained units or pan/tilt control heads with box style or ENG/EFP camera heads. Pan/tilt systems allow an operator to control all the compositional functions of the camera from a remote location; they can pan, tilt, zoom and focus the camera to compose the shot remotely. These different shots can be memorized as scenes or snap shots in a ‘shot box’, then the operator or director can call up these shots with a simple keystroke or two. Some pan/tilt systems will allow ‘on-air’ moves from one snapshot to another, with ease in and out of all functions- producing a smooth fluid move from place to place. You can also manually control the camera functions with joysticks or other control surfaces to move the camera with live moves, allowing you to manually pan across the platform or audience to allow movement in your shots. Pan/tilt systems are certainly worthy to consider if you have a sanctuary that does not lend itself well to having several manned camera positions. 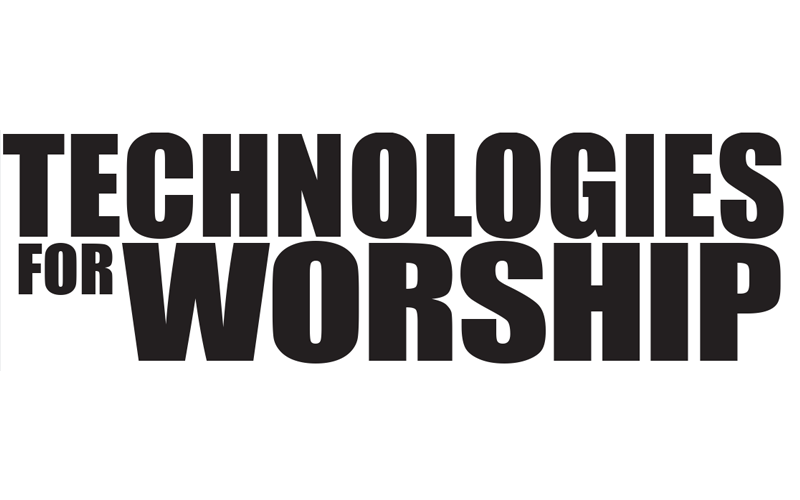 You may not have the ability to give up seats in your auditorium or to disrupt the site lines of aesthetics of the sanctuary, or your congregation may be hesitant to allow the intrusion of the technology into the worship space. You may have a situation where attracting, training or maintaining talented camera people is difficult for your team. If you are considering a pan/tilt system, you need to evaluate several things in potential units for your specific application. What image quality do you need? Some of the box cameras do impressive jobs as far as image quality is concerned, but generally the self contained units are based off of ‘pro-sumer’ or security type of cameras. What CCU capabilities do you require? Do you need the cameras to specifically match in colors or to have discrete control of iris and black levels? What ‘resolution’ of the snapshots do you require, how precisely and frequently do you need to be able to recall snapshots? Some systems will have pretty close tolerances, but each time you use the shot you may need to adjust the settings a little to achieve the precise shot you require. And what quality of ‘on-air’ moves do you need? Moving the camera’s location in ‘on-air’ moves is a very stunning effect when used appropriately and professionally. Sweeping the camera over the audience or band members is featured in many live performance videos, especially musically related. Let’s describe some of these devices and discuss their applications. Jibs and Cranes allow moving the camera in large fluid motions. These units are long arms with the camera mounted on remote pan/tilt units. The camera is counterbalanced with weight to achieve a perfect balance on a long arm. The operator stands near the unit and operates the remote pan/tilt controls and moves the physical arm manually up/down and left/right. These units allow very creative and impactful camera moves, but significant skill and practice is required to create effective moves. Less skilled operators can still achieve excellent shots by limiting some of the movements of the jib, they may consider placing the jib in a specific location and then simply operate the zoom and pan/tilt of the camera to achieve moving shots. An important consideration of jibs is the safety factor as you will be moving a large arm over the audience or stage. Are you comfortable with this? Dollies are platforms that are rolled from place to place, either on wheels on a floor or on a track. Dolly shots allow the camera to easily follow on camera action that is walking. Often times the dolly will have a camera operator riding with the camera, and a dolly grip actually pushing or pulling the dolly. Dollies are often used in cinematic productions, and are seldom used in live events as they require planning in their shots and the actions of the on camera talent. Pedestals are either spring or pneumatically controlled camera support systems that allow fluid movement of the camera in the up/down directions. They can be used in on-air moves, or used to allow an operator to easily move the camera angle up and down with great ease and safety. So which camera is right for you? Hopefully we have helped to describe what some roads might look like for you and your television capabilities. The first question you should consider is what your needs are today, but also you need to polish the video crystal ball and consider where you ‘realistically’ may want to be in 3-5 years. Consider the demands of your production requirements in the form of a camcorder or a ‘hard’ camera. 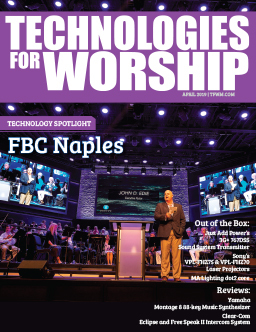 If your cameras are strictly for the sanctuary, then you may want to give consideration to your aesthetic and personnel needs and requirements. Dan Stark owns and is Chief Engineer of Stark Raving Solutions, a systems integrator for broadcast video, audio and audiovisual projects. He has 24+ years’ experience as Chief Editor and Engineer at a post-production house, making movies, corporate videos, commercials and other videos.